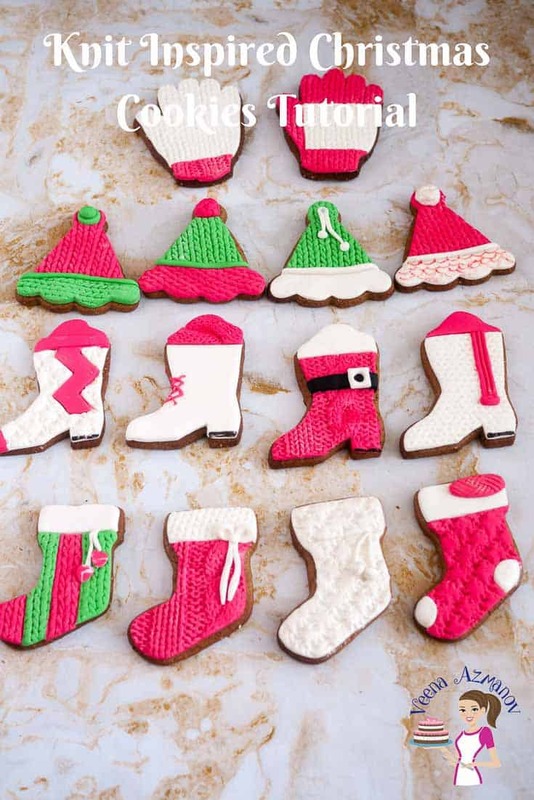 Make deliciously pretty knit inspired Christmas Cookies this season to share with your family and friends. Simple, easy and a fun project to do with the kids or just on your own with a little fondant and a few texture mats. 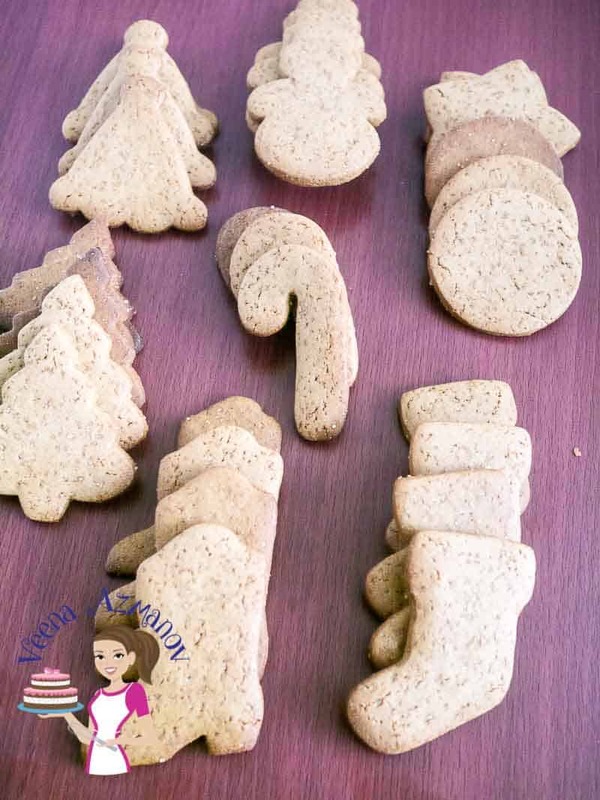 Yesterday I shared with you my No Spread Gingerbread Sugar Cookies which are perfect for this time of the year. 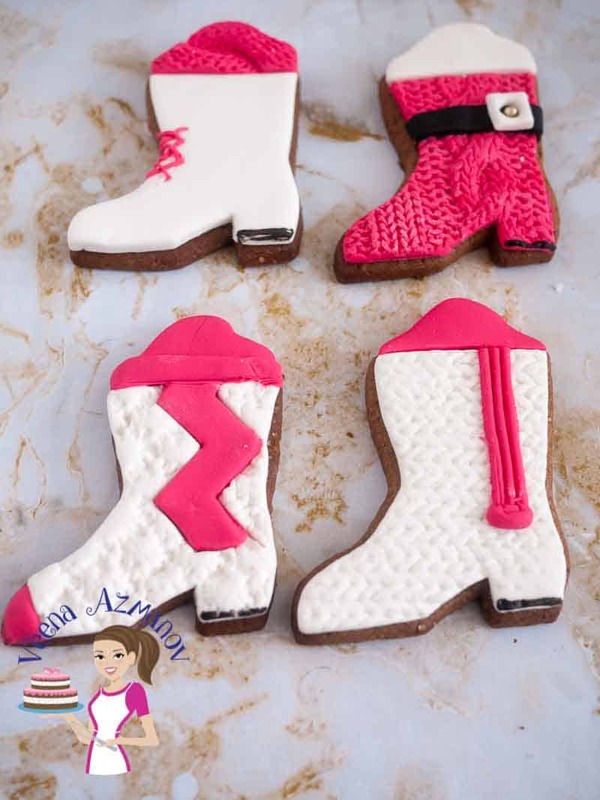 They do not spread so they work great with fondant and impression mats. I hate when the cookie spreads and looses its shape. 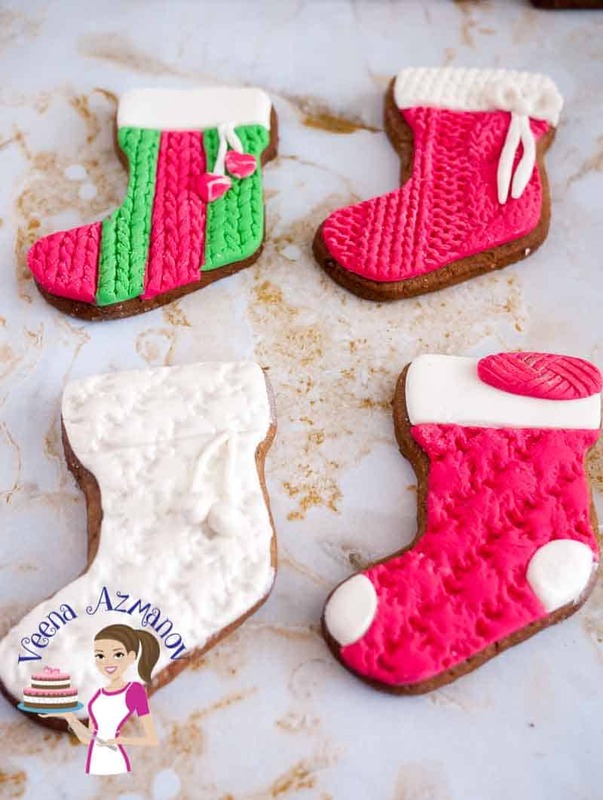 The real reason I made these cookies and the tutorial was that I was so excited about the new knit simpress molds I received from Marvelous Molds. I did the pretty Winter Theme Wedding cake I shared few days ago but you know.. it was a wedding cake so I had to be very careful and use it with a plan. I wanted to have more fun with it. So …!! I decided to make cookies. I planned to make only stocking but then ended up making the boots as well as the gloves and winter hats too! The video was getting longer than I planned so I split it into two. I put the stockings and gloves in one and the boots in the other. The hats were pretty simple so I will share them on Instagram one of these days. 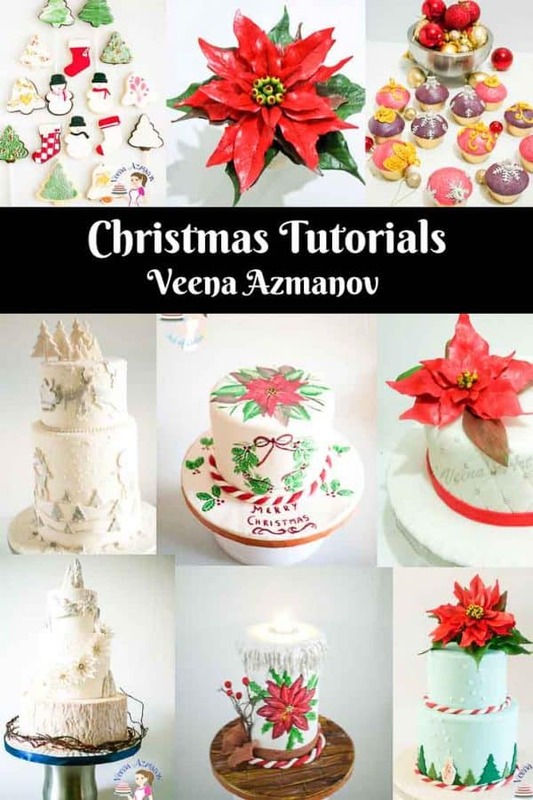 Are you looking for more Christmas Inspired Cake Tutorials or Recipes?